Lua error in Module:Location_map at line 488: Unable to find the specified location map definition: "Module:Location map/data/China Inner Mongolia" does not exist. 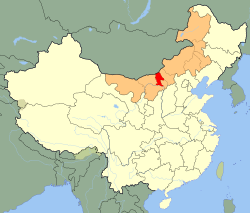 Baotou is a prefecture-level city in Inner Mongolia, China. 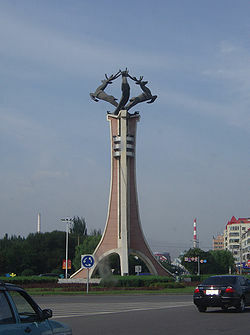 The city's Mongolian name means "place with deer". Its Chinese alternate name in is "Lùchéng", meaning "Deer City". Wikimedia Commons has media related to Baotou. This page was last changed on 20 December 2017, at 17:20.